Esteban Ocon is preparing himself for a key campaign in 2018 as he is expecting a lot of opportunities to open up in the driver market for 2019. Valtteri Bottas, Kimi Raikkonen and Daniel Ricciardo are all out of contract at the end of next season and just one change among the top three teams could spark a chain reaction throughout the rest of the Formula 1 grid. With that in mind, Mercedes-backed Ocon wants to continue to impress with Force India to give himself the best possible chance of moving into the upper echelons of Formula 1. 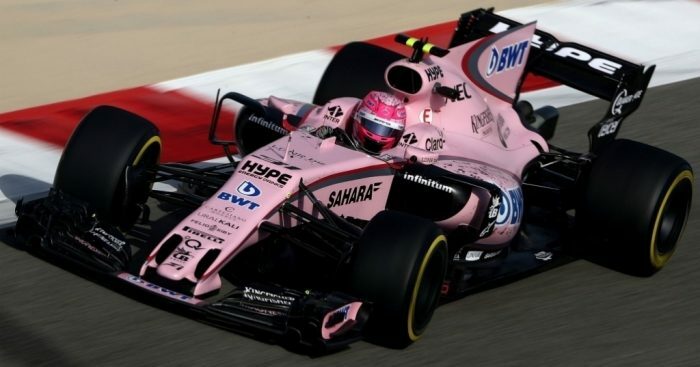 "2019 is going to pretty open for everyone," Ocon said to Sky Sports. "I think there are going to be a lot of movements so if you do a strong job and a good season, then there will be opportunities there. I want to start the season strongly with the experience I have gained this year, and then we'll see." Red Bull's Max Verstappen is viewed by many as the future of Formula 1, but Ocon feels he can compete with him for that particular title after winning the battle back in their F3 days. "I was quicker than him, for sure," Ocon added. "I got a lot more poles than he did. I don't know if I'm quicker than him now, but I think so. "You can't really compare any more, you need to be in the same car to fight together. "Maybe it's going to happen at some point, I don't know. But he's really doing a good job at the moment and he's one of the best drivers on the grid."